This state of the art digital fixture will run both 250 & 400 watt lamps. 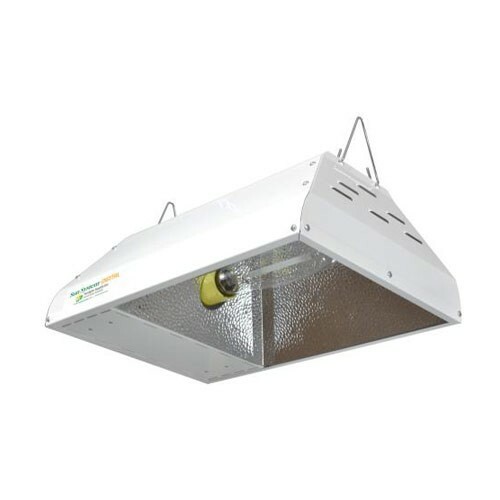 The integrated electronic ballast allows operation of both metal halide (MH) and high pressure sodium (HPS) lamps. The proprietary Smart Volt ballast operates at either 120 or 240 volts (120 volt cord included). Lightweight (only 15lb) and easy to set up. Highly reflective aluminum insert. On/Off switch. Powder-coated steel housing is attractive and durable.